I am going to be up in the Big Sandy area (from Iowa) just after Chrismas and have never fished the Big Sandy or Aitkin in the winter. Is Aitkin a good icefishing spot or should we stick with BSL? None of us know either waters and with that in mind thought that Aitkin might be our best shot at successfully catching some. Any advice? After looking a little more carefully at other posts it looks like you are a guide so I apologize for asking for information on where to go as i know that info is your lively hood. Ck should be able to hook you up with all the info you can handle. 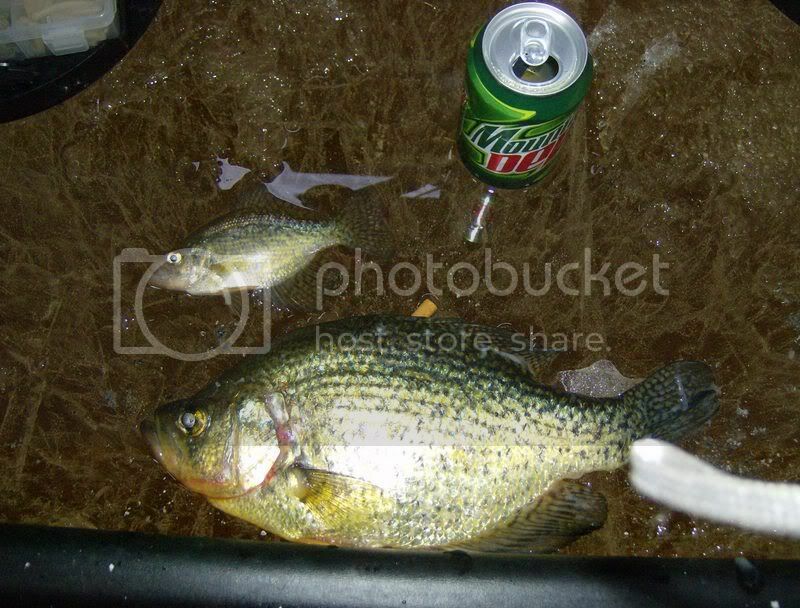 Aitkin can be very good for panfish. Truth be told, I caught my biggest 'eye in the area on that lake... 27" There is a sunken island around the northeast shore that has good drop-offs. Caught many crappies and dish-sized sunnies there. On BSL, the north side of Billhorn is good for crappies. Caught 'eyes there too. A lot of folks fish out in that area. Parking is available pretty close, if you don't like the ice. Last year I limited out there a few times. Lots of fun. Been fishing the area for many years. Welcome to MFP, It's always great to see new users. And like Mr.No-fish said, I'm sure CK can tell you where to go. What are the dates you are going to be up there? I think I'm going to try to make it over New Years! FishnHawk, you have just opened the flood gate to CK. Prepare for more info than u can handle. He will give u his words of wisdom and if u want, park u on a honey hole. Fishnhawk, I assume you are the guy who emailed me. Sounds like you are starting to get some good info. Once CK sees your posts you better strap in and wait for the info to pour in.